If it’s not news, don’t even bother. You want this to be something a potential visitor or customer would find interesting and worth a read and second look. Adding a new section to your website is not news, redesigning your website with new features is news. Testimonials or quotes are a great way to “name drop” or feature your brand advocates. Be concise but not TOO concise. About 300-800 words is good. Try to get a keyword in your title, your summary sentence, and your first paragraph if possible. Don’t make your keywords TOO dense, write for people first. Don’t skip the boilerplate about your company. The more legit your company sounds, the more likely your PR is to be picked up. Take the opportunity to share your social media network links to encourage engagement with your team on many levels. Include optimized images, videos and files if you can. Make sure your file names are descriptive and contain keywords if possible, include calls to action within your video without being too sales-ey. Add alt text to your images to further identify them to readers and search engines. Link with good anchor text, once or twice for good measure, but don’t get to many anchor text links in there. If your Press Release looks spammy, likely it wont get picked up by other news outlets. Place your good link early in the press release. You don’t want the user or the search engine to get bored and not follow the link into your additional resources or website, so make sure your links aren’t saved up for the end. Publish your Press Releases on your own website and share via your social media outlets. This can help get the word out to people and businesses in your own niche and expand your chances of getting a pickup. There you go, a great starter list of steps to think about when you create your press releases. We recommend our customers do them as often as they have news. 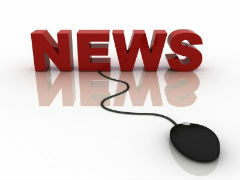 Creating news and hustling to create buzz around your news is a big part of online marketing, take advantage of it. This entry was posted in Google, Public Relations, SEO, Social Media by Carrie Hill. Bookmark the permalink. These rules will not be new for experienced SEOs but may serve as a reminder for those who have strayed into black hat SEO areas. Search engines, especially Google, are enforcing their guidelines now more than ever. Really excellent, comprehensive list of the factors that make a press release attractive to search engines…something we all have to keep in mind nowadays! We PR people don’t have the luxury of ignoring SEO any longer. I don’t think press releases should be JUST for SEO, but if you’re going to do one, why not take advantage oft he extra benefits to be had by creating a SEO friendly Press Release?